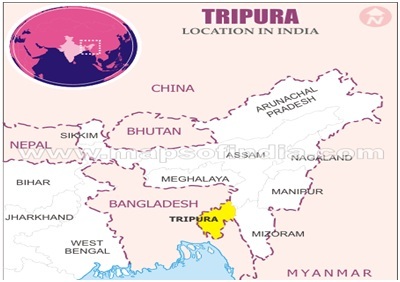 North East India comprises of seven states commonly known as the “Seven Sisters”. 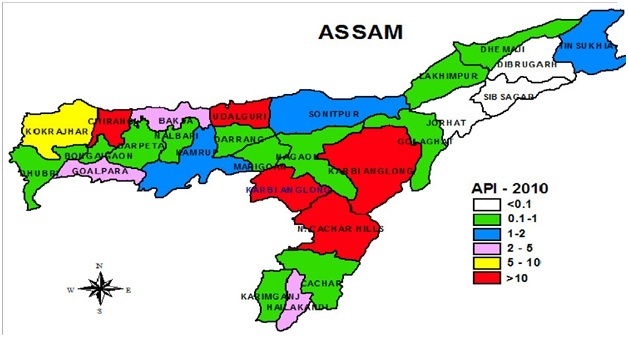 They are Arunachal Pradesh, Assam, Manipur, Meghalaya, Mizoram, Nagaland and Tripura. Northeast India houses umpteen number of tourist attractions with its picture-perfect landscapes, cultural diversity, festivals, traditions, further augmenting the charm of the region. We have names like Mary Kom, Bhaichung Bhutia, Somdev, Sarita Devi – some of the greatest icons of Indian sports. Arunachal Pradesh is the eastern most state of the country, which witnesses the first sunrise. 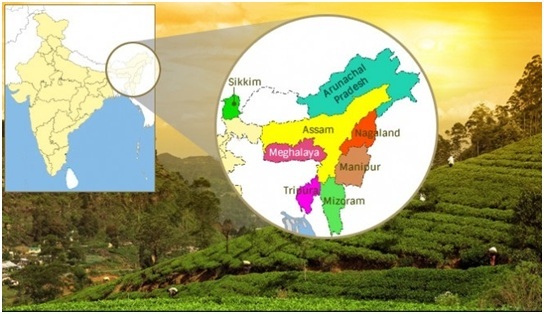 North East India comprises of seven states commonly known as the “Seven Sisters”. They are Arunachal Pradesh, Assam, Manipur, Meghalaya, Mizoram, Nagaland and Tripura. Northeast India houses umpteen number of tourist attractions with its picture-perfect landscapes, cultural diversity, festivals, traditions, further augmenting the charm of the region. The basic reason to call these North-Eastern States, Seven Sisters is the geographical location of all seven states in the same region. 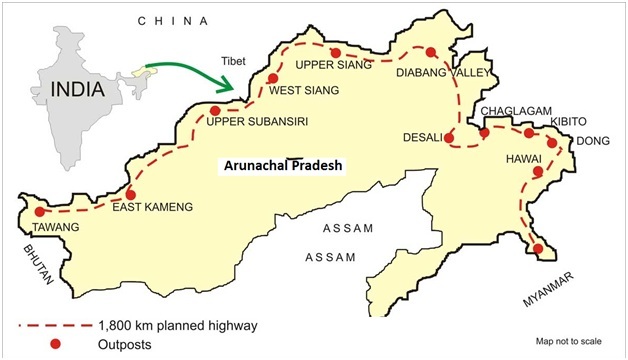 The Land: Arunachal Pradesh the 24th state of the Indian Union, is bounded by Bhutan to the west, Myanmar to the east, China to the north and north-east and the plains of Assam to the south. Arunachal is the largest state (area-wise) in the North-East Region. 83,743 sq. km(bounded by Bhutan to the west, Myanmar to the east, China), Districts are13. Adi, Aka, Apatani, Dafla, Nishing, Miji, Gallong, Nocte,Wancho, Tagin, Hill Miri, Idu Mishmi, Miju Mishmi, Digaru Mishmi, Monpa, Tangsa, Khampti, Sherdukpen, and Bangni. Size of state economy is $ 2.651 bn. About 35% of the population of Arunachal Pradesh, agriculture is the main occupation. 17% of total cultivated area is under irrigation. About 62% of the total area of the state is under forests. Main crop is rice. Siang River Festival, Nyokum (festival of the Nyishi tribe), Lossar Festival (to welcome a new year), Dree Festival, Boori Boot (for successful harvest of the crops), Loku (farwell to the winter) , Sanken (celebrated by the Khampti tribe of Lohit district),Pangsau Pass Winter Festival,Ziro Festival of Music, Solung (An agriculture festival). About 63% of the state’s working force is engaged in agriculture and allied activities. Rice is the principal food crop. Forest account for 22.41% of the total area of the state. Bihu-Bhogali or Magh Bihu (January), Rongali or Bohag Bihu (April), and Kongali or Kati Bihu (May), Baishagu (celebrated by Bodo Kacharis during mid April), Ali-Ai-Ligang (festival of the Mishing tribe. 22,327 sq. 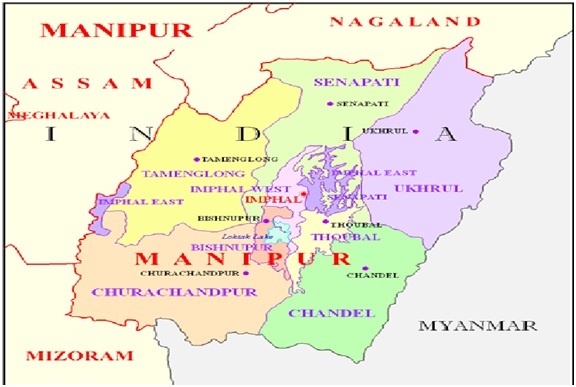 km (Manipur means the 'land of gems'), Districts are 9. About 88% of the total working population in the hills and about 60% of the working population in the valley depend entirely on the agriculture and allied pursuits like animal husbandry, fisheries and forestry. Govindajee temple, a Vaishnavite temple, Manipur zoological park, The largest fresh water lake of northeast India is located in Manipur. It is called the Loktak Lake and Sendra Island. "The Rasa Lila, Pung Cholom or kartal Cholom. A five day long religious festival of the Khasis, Ka Pemblang Nongrem dance is popularly known as Nongrem dance is held annually at village, Smit,11km from Shillong. Size of the economy is $ 2.015 bn. Kohima, (Nagaland is a hilly state), There is no caste system among the Nagas or anyone of the non-Naga tribes. English, Hindi, Ao, Chang, Konyak, Angami, Sema, Lotha, Sangtam and Chakhesang. 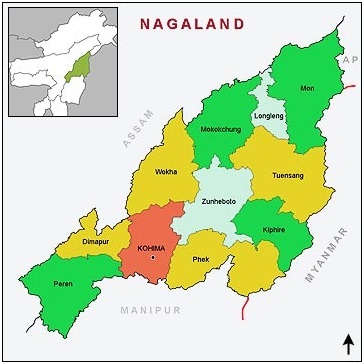 Over 85% population of Nagaland is directly dependent on agriculture. It is called as Nag Bhumi’- the land of serpents. The Japfu peak situated at a height of 3048 mts. above sea level is the second highest peak in Nagaland after Mt. Saramati. Konyak Aoling and Phom Monyu festivals, Chakhesang Sukrunye festival in January, followed by Kuki Mimkut; Angami Sekrenyi is celebrated in February. Rice is the main crop. It is well-suited to the marshy conditions of the northern basin. Jute, cotton, tea, and fruit are important cash crops. Sugar cane, mustard and potatoes are also grown. Ujjayanta Palace, Sepahijala Wild life Sanctuary, Neer Mahal ( A palace in water), Jampui Hills, Unakoti (a profusion of the rock cut images). Garia Puja, Kharchi Puja, Ker Puja, Durga Puja(Oct-Nov), Tirthamukh-A popular pilgrim centre for the tribal people of Tripura. 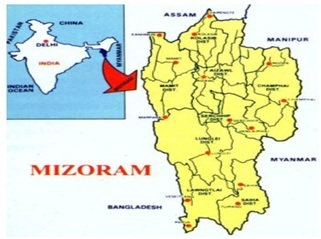 Read more:Seven sisters , what are Seven sister states of India , Information about Arunachal Pradesh , Information about Assam , Information about Manipur , Information about Mizoram , Information about Nagaland , Information about Tripura , tribes of seven sisters of India , dances of Nagaland , dances of Assam , dances of Manipur.